The kitchen with family area, which was described by voters as 'beautiful', and with 'amazing views', won top spot in the house builder's competition on Facebook. The competition included a weekly poll and prize draw, where winners from around the country won £100 of Marks and Spencer vouchers. The kitchen in the Ascot house type at Tingewick Park was then crowned the overall top room by voters. Nicola Yassini won the main prize after picking the kitchen in the final poll, and collected her voucher from Bovis Homes' Milton Keynes sales team. She said: “It's the most important room in the house so it's the one that must look gorgeous. Thank you Bovis Homes – and it was lovely to meet your Milton Keynes team!" Other kitchen comments from people in the competition included: "It catches all the light and there is so much room. The colours are so fresh looking. The view from the window is amazing. I love it." "It has to be the heart of the home and that is certainly one." The Ascot also boasts a sitting room with bi-folding doors and dining room with a bay window. There are impressive dressing rooms upstairs and two of the bedrooms have en suites. The kitchen includes integrated appliances and French doors. 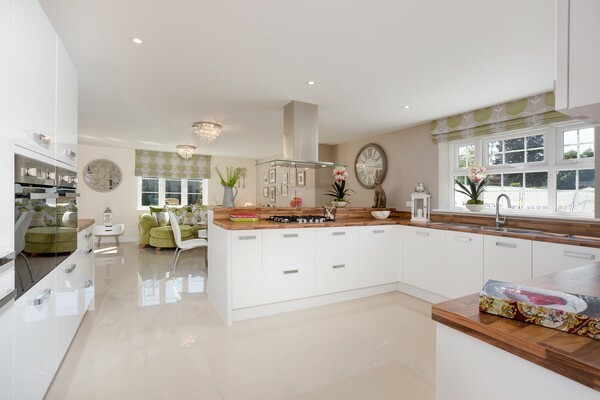 Heather Suffield, marketing manager at Bovis Homes' Northern Home Counties region, said: “It's no surprise this stunning kitchen has come out on top in the Superior Interiors competition. “It's a beautiful space fit for any family, with French doors out onto the garden, perfect for summer months. Tingewick Park, surrounded by farm and pasture land, is less than three miles from Buckingham. There are seven properties left to buy on the site, including The Canterbury four-bedroom and The Ansell five-bedroom house types.